Natural and human-induced disturbances challenge the resilience of coastal ecosystems. The relative impact of a projected increase in storm intensity versus a temporary sediment spill from the construction of the planned Fehmarnbelt Fixed Link on the suspended sediment concentrations was estimated in the shallow coastal embayment of Rødsand lagoon. The investigations were performed through a combination of field observations and numerical modeling. The numerical model was calibrated and validated with the field observations. The lagoonal response to a regional increase in wind speed showed temporarily amplified suspended particulate matter concentration (SPMC) levels (26–37%) and amplified exceedance duration above wash load (30–32%) in the entire lagoon, but especially in the shallow regions. The lagoonal response to a sediment spill outside Rødsand lagoon showed temporarily amplified SPMC levels (2–4%) and amplified exceedance duration above wash load (1–2%) in the entire lagoon, but especially in the regions in close proximity to the spill source. The regional response to increasing wind speed was thus 10-fold larger than the sediment spill where only advective sediment transport took place. This highlights the importance of the internal lagoonal processes as opposed to exterior disturbances. The study contributed to an improved understanding of the potential natural and human-induced stressors on the sediment dynamics in lagoonal ecosystems. The authors would like to acknowledge Bjarne Holm Jakobsen, Nils Drønen, Arnaud Doré, and Martin Taaning for constructive discussions during the preparation of this manuscript. 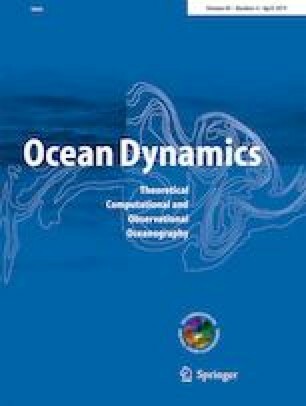 The study was carried out within the collaborative research project “SEDILINK—Flow circulation and sediment dynamics in a non-tidal coastal lagoonal system—Rødsand lagoon, Denmark” co-funded by the University of Copenhagen, DHI, and Femern A/S and the research project “Storm impacts on coastal and shallow marine environments” funded by the Velux Foundations.